Bedi Internatioal School, established in year 2011, situated just at a distance of 3.5 km from the Satellite Bus Stand on Pilibhit Bypass Road, a location exclusively earmarked for educational purpose and also fast becoming centre of the city. The school is run by Guru Granth Sahib Educational Society and is first of its kind providing the city its first "Smart School". The school stands firm against the system of coaching that has deteriorated the life style of students everywhere. 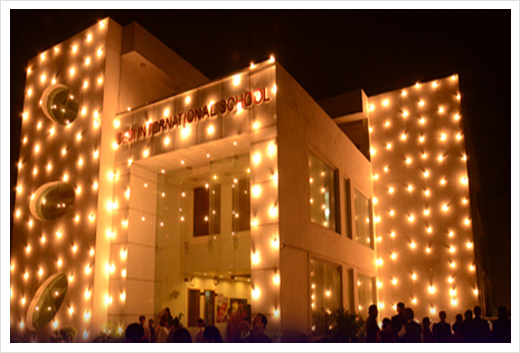 Bedi International School is a Co-educational, CBSE affilaited School. It is the only school to have converted all the classrooms from Playgroup to class 12th in digital cinemas where academics seem like a movie running through. At Bedi Intenational School there exists a welcoming, family atmosphere...an atmosphere of warmth, security, trust and friendliness where firmness is mixed with encouragement and challenge to stimulate the child.